Discover the Mexican Riviera on one of these fun cruises to Mexico from San Francisco. Almost every month, you will find a 10-night cruise that stops in ports of call such as Puerto Vallarta, Mazatlan, and Cabo San Lucas. They all feature round trip service from San Francisco and include a few relaxing days at sea. The colorful sunsets you will see along the way. This one is over the Pacific Ocean just off the coast of Puerto Vallarta. The one that runs most often is the one offered by Princess Cruises from September to May. During these months, you will find one or two dates available. 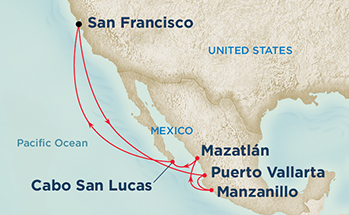 The 10-Night Mexican Riviera Cruise starts and ends at Pier 27 in San Francisco. The first few days of the cruise, you will be at sea catching some sun and relaxing before the real adventure begins. You will head into a different port every day from days 5 - 8. Stops include Puerto Vallarta, Manzanillo, Mazatlan, and Cabo San Lucas. You will then spend another day at sea before returning to San Francisco. This cruise is aboard the Grand Princess which has the capacity for up to 2,600 guests. It offers several onboard amenities, including a full spa, several pools, a casino, movies under the stars, indoor theaters, and several lounges. It also has several food options from high-end dining to casual spots for pizza or burgers. If you prefer to stay in for the day or night, you can also order room service 24-hours a day. On the first day, you board the Grand Princess and set sail at around 4pm. Make sure you stay outside as you will get wonderful views of SF and the Golden Gate Bridge. Sit back and relax on your first few days of the trip as it will take some time to cruise down to Mexico. Enjoy time in the casino, sampling new wines, or catching a few rays at the pool. Your first stop is in Puerto Vallarta. It's one of my favorite towns in Mexico as it has gorgeous beaches and plenty of places to explore. Some of the top shore excursions here include swimming with the dolphins, ziplining, and ATV adventure tours. You can also go on a guided walking tour around this historic city. Click here to visit Viator.com and learn more about the shore excursion options. 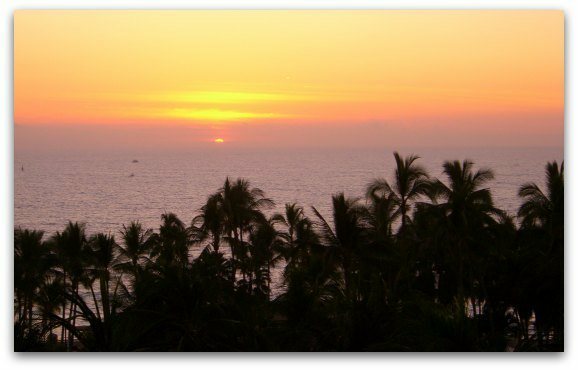 The ship arrives in Puerto Vallarta around 8am and departs at 8pm. Your second stop of the journey is in Manzanillo. It's south of Puerto Vallarta and also offers several fun activities. You will again have all day to check out the sites. You will arrive at 7am and leave at 4pm. You then cruise back up north for a stop in Mazatlan. Here you can hang out at the beach or enjoy one of many adventure activities. This is another stop where you can swim with the dolphins, go ziplining, or head out on an ATV adventure. You can also tour Mazatlan on a self-guided bike tour, learn all about this town on a guided walking tour, or head out on an ecological jungle tour. Click here to visit Viator and learn more about shore excursions in Mazatlan. Your final stop in Mexico is in Cabo San Lucas. Your arrival is scheduled for 7am. Adventure options here include going scuba diving, snorkeling, or kayaking. You can also hang out and relax on one of Cabo's gorgeous beaches or go horseback riding. Click here for additional details on these and other shore excursions in Cabo San Lucas. You now have some time to relax before you return to San Francisco. You will be cruising the Pacific Ocean with no more stops on days 9 and 10. On the morning of day 11, you will ride under the Golden Gate Bridge one more time before arriving at Pier 27 at 7am. Book Your Cruise: Visit Princess Cruises' website to find dates, prices, and to book your trip to the Mexican Riviera today! 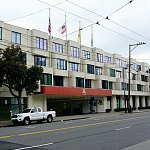 If you plan to spend a little time in San Francisco either before or after your cruise, I recommend that you stay in the Fisherman's Wharf district. This fun area offers shopping, ferry rides around the bay, and Segway tours. 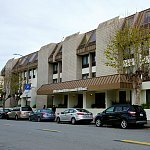 You can also visit one of its many attractions including the Aquarium of the Bay, the Maritime Museum, or the Hyde Street Pier. It also offers dozens of places to eat, drink, and relax. 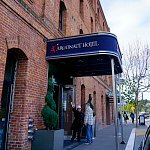 Here are some of the top options for staying in Fisherman's Wharf. 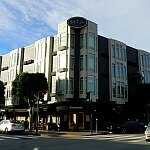 Click here to find some additional Fisherman's Wharf hotel recommendations. You will find several for every budget. Head out on an Alaska cruise that takes you through the Inside Passage. On these colorful tours, you will see glaciers, ice capped mountains, and lots of wildlife. You will also stop at up to three towns in Alaska and visit one town in Canada on your way home. Another popular cruise destination is the Hawaiian Islands. You will find several dates from SF each year. On these trips, you will stop at up to four ports on the islands. You will also have several days at sea where you can relax and unwind. Most offer one final evening stop in the small port town of Ensenada, Mexico. All of the Panama journeys take you south along the coasts of Mexico, Guatemala, and Costa Rica. You will then make your way through the Panama Canal and stop at either just a few or several places on the other side of the canal. In addition to the trips mentioned above, you will also find a handful of other options from SF. Some make the long journey to Australia, the South Pacific, or beyond. Others are shorter tips with stops along the western US coastline.